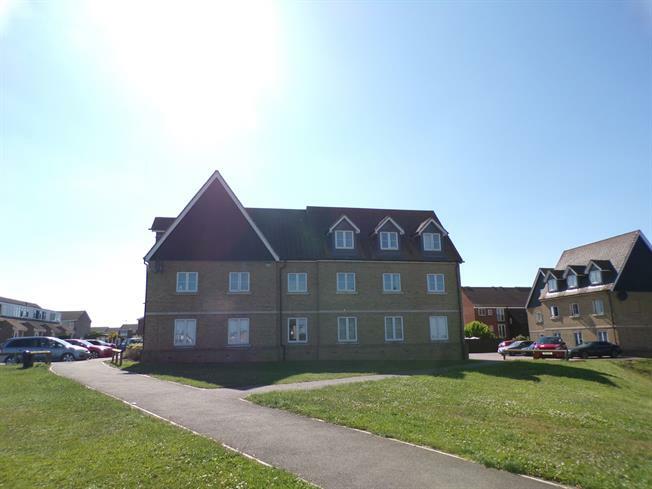 This modern first floor apartment offers two double bedrooms, open plan sitting room/kitchen, family bathroom and En-Suite. The property has been maintained to a high standard and has been well looked after by the current owners. To the rear of the property there is a large expanse of greensward including children's play area and easy access to the nearby countryside walks. There is allocated and visitor parking to the front and rear in the resident car park. The front door opens on to the generous entrance hallway, which has enough space to house storage units or additional wardrobes. There is access from the hallway to all of the principle rooms. Located at the end of the hallway, the open plan living space provides open plan accommodation to including; seating, eating and cooking. With three windows with far reaching views over the park, being on the first floor here really offers something extra. The kitchen area is fully fitted and includes all built in appliances. Separating the living and cooking areas is a built in breakfast bar, with enough seating for four adults. The master bedroom is a good size double room with enough space for storage and wardrobes, the room also has access to a private En-Suite shower room. The master En-Suite comprises a three piece suite including; single enclosure shower, low level WC and pedestal wash hand basin. A further double room is next to the master, with a window to the front. The family bathroom, is a great size and comprises; panel enclosed bath with shower over, low level WC and pedestal wash hand basin. To the rear of the property there is a large expanse of greensward including children's play area and easy access to the nearby countryside walks. There is allocated and visitor parking to the front and rear in the resident only car park.